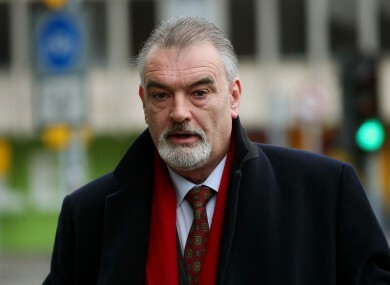 IAN BAILEY HAS lost his High Court case against the State and the gardaí. The jury reached their verdict in the civil action just after 4.15pm. They had begun their deliberations earlier this afternoon. Speaking outside the court after the verdict, Ian Bailey’s solicitor said his client was “very disappointed” and will take will take time to “evaluate” his options. He is obviously very disappointed with the outcome, he gave this case his very best effort and he thought, and he still thinks, that he very much had enough evidence to sway the jury in his favour. However, he has a deep and abiding respect for the Irish legal system. It took the jury around two hours to reach a decision. The case opened in November last year and concluded today after 64 days in court over nearly five months. Bailey alleged that he was unfairly targeted as a suspect in the Sophie Toscan du Plantier murder investigation. He claimed gardaí attempted to frame him for the murder of the French film maker. He sued An Garda Síochána, the Minister for Justice and the Attorney General for damages. As the evidence concluded last week, the credibility of witness of Marie Farrell was seen as central. Toscan du Plantier was found dead in Schull in rural Cork in December 1996. The jury were also asked to decide whether gardaí attempted to get statements from Farrell alleging that Bailey had intimidated her. The jury decided that the gardaí in question had not conspired to carry out these actions. Bailey’s arrests were not to be considered because they were lawful according to Judge John Hedigan. A decision on costs in the case will be made at a later date and will first be heard in court after Easter. Legal experts say Bailey could be facing a seven figure legal bill. “Out of respect for the fact that judgement has been handed down, we should have space and time to consider what might arise from here on in,” he said. Email “Ian Bailey "very disappointed" after losing his case against the State”. Feedback on “Ian Bailey "very disappointed" after losing his case against the State”.